The fact that I bought a paperback copy of Gone Girl after reading its ebook version is really a testament that the novel should be the one to go in the treasure chest. Gone Girl is the first Gillian Flynn book I have read a year ago, and after that I have been wanting for more. I don’t know how to start this; the book is so twisted I am lost for words. Having read all of Flynn’s books, I could say that Gone Girl is her best yet, probably a magnum opus, and definitely the best psychological thriller in the contemporary scene so far. 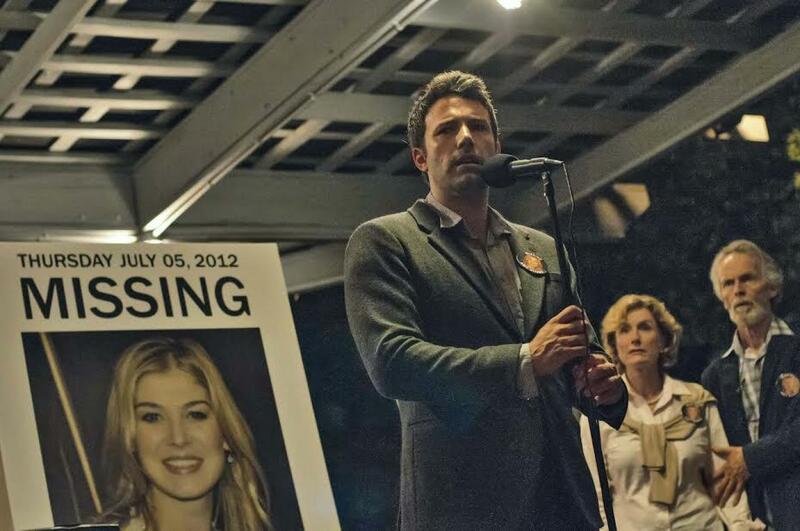 Gone Girl possesses the familiar Gillian Flynn power that’s going to chill readers to the bones. And why not? It is so unsettling and cynical that you would begin to wonder if the ones you love are those you think they really are. Once you turn the first page and read what Nick Dunne thinks of his wife’s head, you are in a creepy, thrilling ride of your life. Ben Affleck plays Nick Dunne, the primary suspect of Amy Dunne’s disappearance and apparent murder. The gripping story revolves around the troubled marriage of Nick and Amy Dunne, two New York journalists who ended up living in Nick’s depressing hometown North Carthage after losing their writing jobs. Amy, who has been raised pampered and trust-funded as a Manhattan socialite, detests their ordeal, much more their rented McMansion that Nick chose for them to live in. Even so, Nick still managed to open a bar with his twin sister Margo using Amy’s trust fund money. Everything becomes hellish on the day of the couple’s fifth year anniversary when Amy suddenly turns missing with traces of murder found in their McMansion kitchen. Nick, who came home after a quick beach stroll early that morning, finds himself in the middle of a murder accusation. All pieces of evidence lead back to him, including Amy’s diary that Nick wasn’t aware his wife had all the time. The plot then progresses as Nick tries to clear his name and win the public’s heart. But Nick turns out to be a poor liar, who lives a double life and pretends that everything is fine throughout their marriage. Suddenly, a series of twists and turns starts to prevail and there seems to be no way of telling who is really saying the truth. Is Amy really murdered? Does Nick have something to do with it? What’s really the motive of the New York sweetheart’s sudden disappearance? Nick and Amy Dunne are not your stereotypical troubled couple. Yes, they might appear as one at first, but there’s more to them than meets the eye. And that’s how Gillian Flynn crafted two deep, complex main characters in this chilling third novel. As readers are thrown back and forth between Nick’s narrative and Amy’s diary entries prior to her disappearance, I was led to believe in things that might really have not happened after all. Something happens and everything I knew changes in just a flash. They are the perfect definition of unreliable narrators, something that Gillian Flynn has apparently mastered and applied to her excruciatingly twisted protagonists’ inner monologues. If Agatha Christie were alive, Gillian Flynn would have given Agatha a run for her money. But of course, Agatha is Agatha, and Gillian has her own way of presenting her narrative. What makes Gone Girl and her other books so dangerous and delicious to read is her tense prose, written through her irresistible, razor sharp wit. She’s a good architect when it comes to shaping the entirety of her story, shepherding us to the unpredictability of its dark corners. There are a good many crime writers out there, but not one has come close to Gillian’s style of writing. She sure doesn’t disappoint when it comes to presenting the savage and toxic side of the human psyche. If you ever decide to jump on the bandwagon of Gone Girl fanatics, I recommend that you read the book when you are not alone because it’s going to scare you in more ways than one. But I assure you, while the fright lingers inside you, there’s going to be no intention on your side to put it down.